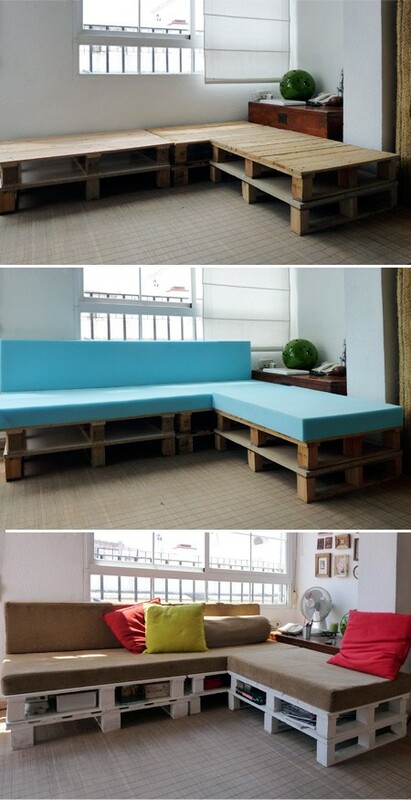 Here’s a great DIY pallet idea – couches! Here’s three different options for making homemade couches. You could leave it plain and stay vintage. Or you can add different cushions and pillows. They all look so pretty! If you try this at home, be sure to send in pictures to us and we’ll post them!